There’s More Than One Way To Top Tostatas! Here’s a dinner that the whole family will love. 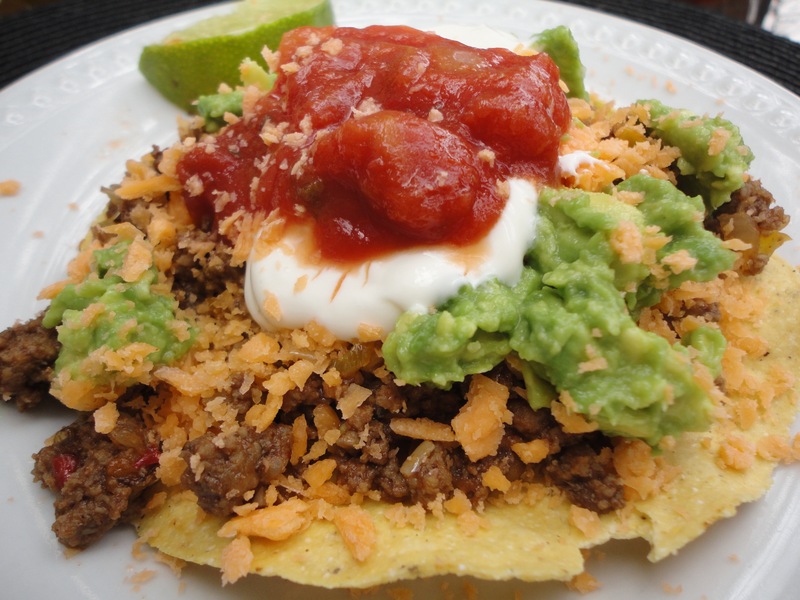 Kids and adults like being able to assemble a dish just the way they like it. Tostatas give everyone at the table artistic license. 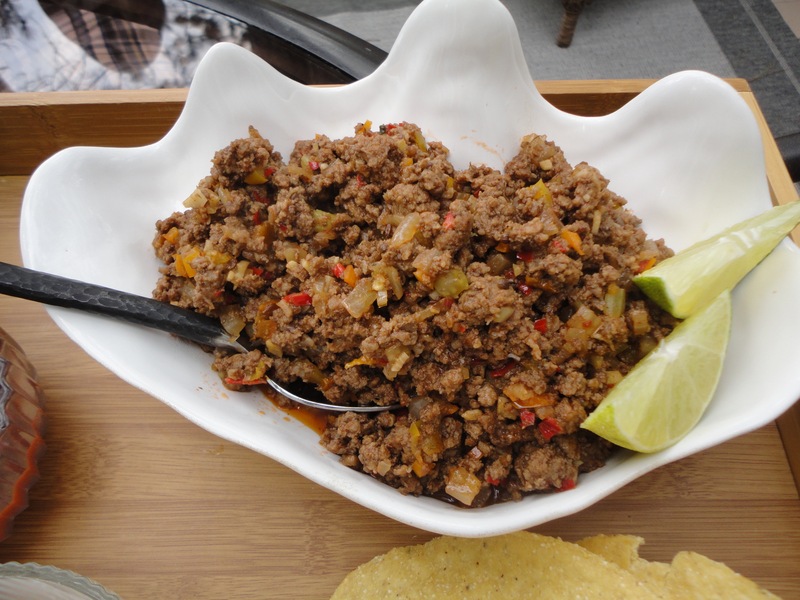 Today we are doing our version using ground beef, but you can easily use ground chicken or forget the meat entirely and use re-fried beans as the key ingredient. We love when food is flexible. That means you can use what you have on hand. This is also a chance for the kids to get involved with making dinner. Let them fill the dishes with all the toppings. 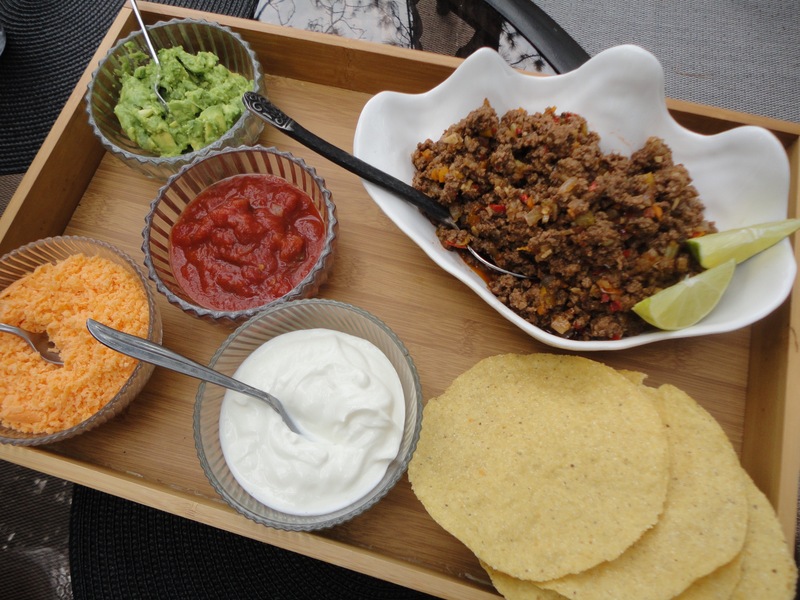 You can make life easy with cheese that comes grated, sour cream, ready made salsa and guacamole. All you have to do is make the meat mixture and its ready in about the time the kids get the sides assembled. Begin by browning the meat in a hot skillet. Once it becomes brown, add all the other ingredients except the ketchup and stir until the meat mixture is well cooked. When you see everything come together, turn off the heat and add the ketchup. Stir and serve. You can top your Tostatas with anything that you like. Lettuce, cilantro, chopped tomatoes, tomatillo sauce, re-fried beans, you name it!